The rise of digital audio advertising has given marketers a powerful new lever, but it has also made executing effective cross-channel campaigns even more difficult. In early 2016, Kia became the first company to beta test Spotify’s playlist sponsorship advertising program. The South Korean auto manufacturer paid the music streaming giant an undisclosed sum for the opportunity to use Spotify’s “New Music Friday” playlist — which has a weekly listenership well into the millions — as a launching pad for its 2017 Kia Sportage. With results like these, it’s easy to understand marketers’ growing interest in targeting consumers with digital audio advertising served through popular platforms like Spotify and Pandora. But like every other burgeoning format and channel in the digital marketing landscape, it’s also adding yet another layer of complexity that marketers must quickly learn to master. Research cited in the IAB guide indicates that more than two-thirds of consumers’ digital media minutes are spent on mobile devices. What’s more, listening to digital radio — which includes satellite radio, music streaming through services like Spotify, and downloadable podcasts — accounts for 15% of consumers’ digital media minutes. It’s one of only three activities claiming over a tenth of consumers’ attention. These findings are echoed by Edison Research, which reports that 57% of Americans over the age of 12 listen to some sort of digital radio. By the IAB’s estimates, 177 million Americans listened to digital radio in 2016, and that audience should exceed 190 million by next year. As if the scale of these audiences isn’t enough to entice marketers, the IAB reports that digital audio advertising drives remarkable consumer engagement. Nearly 70% of podcast listeners can name “an actual product feature or specific promotion mentioned” in a podcast, and 61% of listeners claim they have purchased a product or service they discovered via a podcast ad. Podcast ads have also inspired a fair share of listeners to talk to someone they know about the promoted product or service (22%) or change their mind about a brand (13%) — outcomes that have proven tremendously difficult to achieve through other marketing channels. Until fairly recently, digital audio ad inventories have been bought and sold primarily through traditional publishing relationships. While several of the major streaming services employ in-house sales reps to push their inventories directly to advertisers, most digital audio ads are sold through ad networks built to aggregate ad space from various publishers. In 2014, however, internet radio platform iHeartRadio launched a private marketplace (PMP) powered by AdsWizz to sell its digital audio ad inventory programmatically — the first time such an attempt had been made. 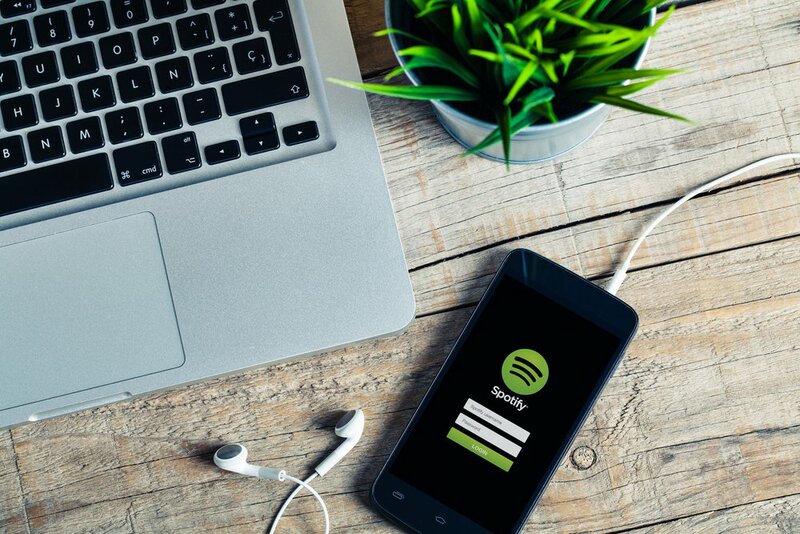 Spotify followed suit two years later, launching a PMP intended to streamline the process of serving audio ads to its 70 million ad-supported global users (an additional 30 million users pay a monthly fee for an ad-free version of the service). As promising as digital audio advertising may be, its rise adds yet another variable to the already overwhelming challenge posed by cross-channel marketing. Modern marketers are tasked with orchestrating ad campaigns that span dozens of devices and channels, and each new consideration makes doing so just a little bit harder. To excel in this increasingly complex advertising landscape, marketers can benefit from the use of AI-powered tools like Albert™. With AI working to constantly optimize your campaigns across platforms and devices, your team can focus on developing the best possible content for new formats like digital audio, rather than struggling to balance them with your existing marketing channels. Are Marketers Prepared to Make the Most of AI? AI-based tools have the potential to revolutionize critical marketing tasks like content personalization, but only if marketers learn to use them properly. As countless experts have made clear, AI tools are not designed to replace human workers, but to augment them. This is especially true in fields like marketing, where creativity and complex data analysis are in constant conversation with one another. Despite this clear alignment of interests, a recent Conductor survey found that a significant portion of marketers (34%) rank AI as the 2018 industry trend for which they feel most unprepared. Much of this uncertainty stems from marketers’ lack of clarity about what an AI tool can and cannot do, and how adopting one will affect the particulars of their day-to-day work. The most important thing for a marketer to understand is that an AI tool must be trained before it can really contribute to an organization’s marketing efforts. Most AI marketing tools are powered by machine learning algorithms — strings of code that aren’t programmed to execute an explicit series of commands, but rather, “learn” from the datasets they’re provided. It’s therefore a marketer’s responsibility to feed their AI tool not just large quantities of data, but large quantities of high-quality data — especially during the early stages of integration. This can be a big ask for less data-literate marketers (over half of marketers admit to being overwhelmed by the amount of data in their marketing stack), but the best AI tools are designed to be incredibly user-friendly. For instance, with Albert™, the world’s first fully-autonomous AI marketing platform, marketers are able to create a straightforward rule set that shapes how the platform learns and adjusts in the future. Albert takes established KPIs like overall budget, daily spending limits, and frequency caps and develops a nuanced understanding of when and where to cut off and/or redirect spending for various campaigns to maximize results while remaining within those boundaries. Once a machine learning algorithm has been properly trained, personalization is arguably the first task marketers should delegate to their AI tool. Many modern consumers demand highly tailored ad experiences, but just over one in ten marketers are either “very” or “extremely” satisfied with their current level of personalization. Traditionally, marketers have approached digital personalization in a way that reinforces existing silos within their department. If a marketer is crafting a campaign for Facebook, for example, they typically rely on lookalike audiences assembled by the social media giant’s internal teams. Tracking the quality of this lookalike audience requires a great deal of intensive cross-referencing between datasets, making it effectively impossible to accomplish in real time. An AI tool, however, can seamlessly process immense volumes of data drawn from any number of marketplaces in a matter of minutes. This not only delivers truly 1:1 experiences for all targets in cross-channel campaigns, but helps break down long-standing silos within a marketing team, as well. When it comes to AI’s potential impact on marketing, these improved personalization capabilities are just the tip of the iceberg. Tools like Albert make marketers better at their craft and free them up to work with their human colleagues on higher-level, more creative projects and processes — provided that these marketers train their AI partners with the proper care. As von Hollen concludes, when an organization effectively integrates AI into its operations, “what you get is a completely new working environment.” At least in marketing, this environment is not only new, but indisputably better. Google has decided against renewing its contract with the Department of Defense after employees expressed concerns about the ethical implications of militarized AI. Over the course of the last six months, this linear drama has been thrust into the public sphere, as Google has attempted to navigate the controversy generated by its work with the US Department of Defense (DoD). Project Maven was conceived primarily as a way to integrate “advanced computer vision” into the analyses of video footage collected by military drones like the ScanEagle, MQ-1C Gray Eagle, and MQ-9 Reaper. By training Project Maven’s underlying algorithms with hundreds of thousands of human-labeled images, the DoD managed to deploy Project Maven in the military conflict against the Islamic State just eight months after the initiative was announced. According to a vocal minority of Google employees, however, Project Maven’s “narrow focus” is an insufficient safeguard against improper, unethical deployments of AI. 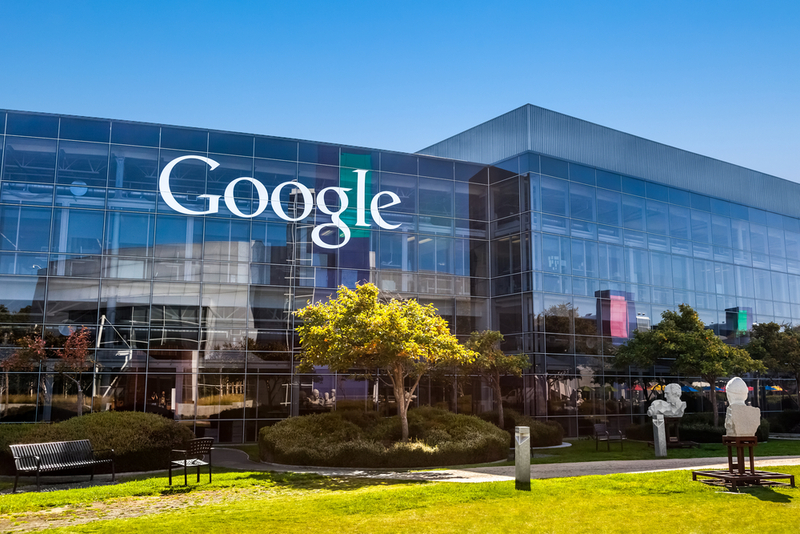 Although many of the details were kept under wraps, Google quietly signed an 18-month contract with the DoD late in the summer of 2017. After a month of corporate inaction, around a dozen Google employees resigned in protest in mid-May. This seems to have been the straw that broke the camel’s back, as on June 1, the Washington Post reported that Google has decided against renewing its DoD contract when it expires next March. Like Ito, we at Albert™ believe that AI should be used as a force for good. But as the Google/DoD saga makes clear, defining “the good” — as it pertains to AI or in any other context — is anything but easy. Ultimately, trust in AI is something that must be earned, and for us, that means a commitment to transparency. That’s why we recently introduced Inside Albert, a new feature that offers marketers a window into the inner workings of our product, making it easier for users to adjust operational parameters and optimize campaign results. Innovation and ethical uncertainty are inextricably tied, but we recognize the added responsibilities incumbent upon us as pioneers of AI in the marketing space. 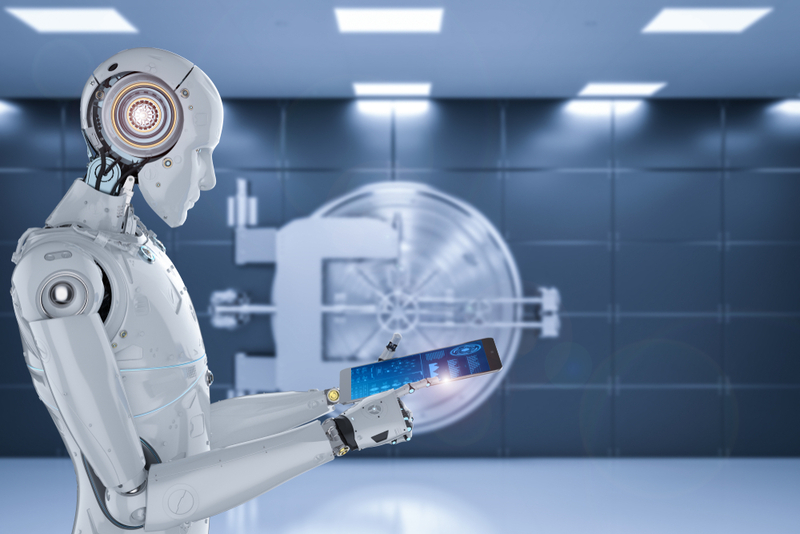 A recent report issued by the House of Lords lays the groundwork for a regulatory regime governing artificial intelligence in the UK. 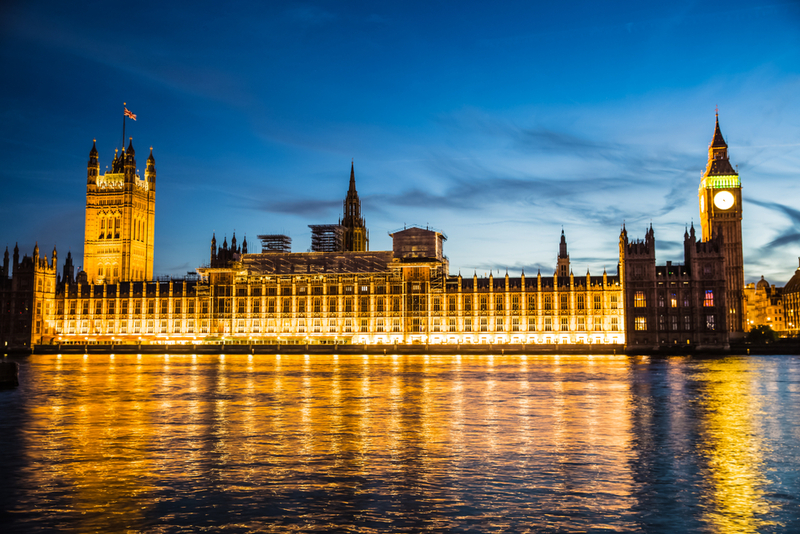 On April 16, the House of Lords Select Committee on Artificial Intelligence released a comprehensive report outlining the future of AI in the UK. Entitled AI in the UK: Ready, Willing, and Able?, the report grapples with the ongoing disconnect between technological and legal changes in the AI space. The autonomous power to hurt, destroy, or deceive human beings should never be vested in AI. Apropos of any discussion about AI, the Committee dedicates a great many pages to data concepts both old (open data, data protection legislation, etc.) and new (data portability, data trusts, etc.). For instance, despite its forthcoming “Brexit” from the European Union, the UK has committed itself to domestic enforcement of the EU’s recently implemented General Data Protection Regulation (GDPR). As the Committee points out, this means that many organizations will be required “to provide a user with their personal data in a structured, commonly used, and machine-readable form, free of charge.” GDPR stipulations like these are not uniquely applicable to AI, but moving forward, they will have a significant impact on the development of AI-driven technologies both in the UK and abroad. On a more AI-specific level, the Committee writes at length about one of AI’s most persistent ethical dilemmas: bias. For example, the UK is home to a number of companies offering machine learning-driven recruitment tech, which uses algorithms to narrow down a candidate pool by leveraging historical data to draw connections among previously successful candidates. As efficient as such an approach can be, it isn’t without its pitfalls. “While the intention may be to ascertain those who will be capable of doing the job well and fit within the company culture, past interviewers may have consciously or unconsciously weeded out candidates based on protected characteristics (such as age, sexual orientation, gender, or ethnicity)…in a way which would be deeply unacceptable today,” the report reads. At Albert™, the world’s first fully-autonomous AI marketing platform, explainability — or, as we call it, transparency — has been at the heart of what we do since day one. Using our Inside Albert feature, marketers can take a peek “behind the scenes” of each and every campaign Albert is managing. There’s still much to be done to prepare society at large for an AI-driven future, but with a tool like Albert, marketers have the chance to prove that, at least in certain industries, the future is already here. As digital media finally overtakes traditional media in terms of revenue, ad agencies need to reconsider how they approach nearly every aspect of their work. According to Ad Age’s Agency Report 2018, 2017 marked the first year in which digital work accounted for more than half of American ad agencies’ revenues. Digital tasks comprised 51.3% of the work agencies conducted last year — nearly double the share they claimed in 2009. The Big 5’s collective revenue growth rate has decreased from 4% in 2015 to 3% in 2016 to a mere 0.9% in 2017. And while there are numerous factors driving this stagnation, smaller agencies’ ability to navigate the unpredictable, ever-changing digital landscape is foremost among them. Of course, smaller doesn’t always mean better — even in the digital age — and non-Big 5 agencies must also make a concerted effort to constantly evolve their businesses to keep up with the times. With that in mind, I’ve drawn up a list of four steps any agency can take to remain competitive in today’s digital-first advertising and marketing landscape. In many ways, modern digital marketing is remarkably different from traditional print, radio, and out-of-home marketing. As an agency, adapting to this sea change requires a collaborative approach aimed at rethinking long-held industry maxims, including those that linger from the early days of digital marketing. A new marketing world demands new marketing ideas, and agencies shouldn’t hesitate to consider and adopt radical new business propositions. For instance, click-through rates on banner ads or vague measures of social media engagement (think: “Likes” or “Shares”) might not be the ideal KPIs for measuring a client’s goals, and an agency shouldn’t hesitate to drop such standard metrics in favor of more performance-oriented KPIs like return on ad spend. To stand out from competitors, agencies must change not only the way they measure success, but also the very nature of their client relationships. The “client serves brief, agency delivers solution” model isn’t optimized for the digital age, and agencies need to start thinking more in terms of dynamic partnerships and less in terms of assembly line-style production and hourly rates. This imperative is particularly pressing when it comes to transparency. The Association of National Advertisers’ 2016 Media Transparency Report found that “numerous non-transparent business practices, including cash rebates to media agencies, [are] pervasive in the US media buying ecosystem.” An agency that spends its clients’ ad budgets according to such incentive structures rather than its clients’ best interests undermines the entire purpose of an agency partnership. In other words, this approach is the epitome of what not to do to get ahead. As stated earlier, a dynamic partnership requires your agency to focus as much on KPIs and creative output as it does on project budgets and timelines. Data is the “raw material” with which digital marketing campaigns are built, and a company’s agency partner is often the only party with access to all of the data necessary to accurately assess both specific ad performance and bigger-picture campaign effectiveness. As such, sophisticated data analytics capabilities have become the mark of an effective agency. A cutting-edge AI tool like Albert™, can help agencies lower their operational expenses and dedicate more time to delivering real value to their clients. Integrating an AI component into an agency’s operations is not only the first step toward a reliable predictive analytics program, but it will also help the agency become more transparent and more tactically creative. Stepping into the AI marketing era is a big step indeed, but it’s a necessary one for any group angling to assert itself as a truly digital-first agency. By focusing more on its AI-powered self-driving system than on building its own driverless car, Waymo has established itself as a leader in the autonomous driving market. Though a few troubling accidents have hindered the development of self-driving technology at both Uber and Tesla, not all autonomous automobile innovators are struggling with safety. Major industry player Waymo (called the Google Self-Driving Car Project until a few years ago) has not only managed to steer clear of serious accidents, but taken major steps towards industry dominance. Unlike many of its competitors, Waymo has little desire to manufacture its own self-driving vehicles. Instead, the company is pouring all of its resources into perfecting an autonomous “driver” — a software-hardware package that has been in development since 2016 — that can be deployed in any properly-outfitted vehicle. Whereas initiatives like General Motors’ Cruise division have been focused on manufacturing fleets of self-driving vehicles from the ground up, Waymo has chosen to make investments in both the practical and the posh. It has been testing a fleet of self-driving Chrysler Pacifica minivans in Arizona since early 2017. They also recently announced a partnership with Jaguar aimed at bringing as many as 20,000 self-driving luxury vehicles, called I-PACEs, to the road in the near future. “While we’ve been focused at Waymo on building the world’s most experienced driver, the team at Jaguar Land Rover has developed an all-new battery-electric platform that looks to set a new standard in safety, design, and capability,” says Waymo CEO John Krafcik. 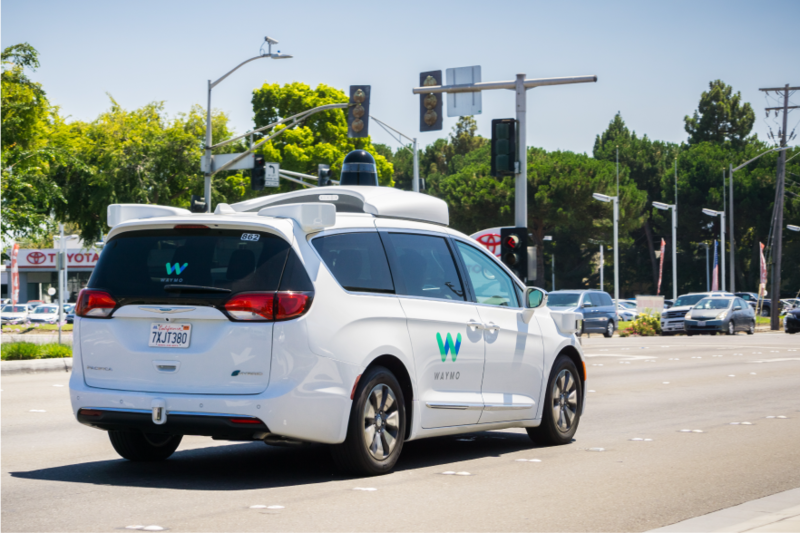 According to a report Waymo produced for the California DMV, vehicles equipped with the company’s autonomous driving system drove 352,545 miles on California roads from December 2016 to November 2017. During these road tests, Waymo recorded only 63 “disengagements” — defined by the California DMV as “a deactivation of the autonomous mode when a failure of the autonomous technology is detected” — amounting to one incident every 5,596 miles driven. Real-life road tests are obviously critical, but as Waymo Lead Software Engineer James Stout explains, the vast majority of Waymo tests are conducted in a virtual environment. Both the company’s “drivers” — which are designed around sophisticated machine learning algorithms — and its engineers learn new things each time a test is conducted, making high-volume virtual testing a crucial element of Waymo’s pursuit of driverless perfection. Ultimately, the underlying mechanics of Waymo’s “driver” improvement process are not unlike those at work in Albert™, the world’s first fully autonomous artificial intelligence marketing platform. As soon as Albert is fed a company’s historical marketing data and its creative materials for a new campaign, he conducts a wide variety of microtests based around thousands of variables. Like Waymo’s virtual simulations, these microtests help Albert figure out what works, what doesn’t, and what changes need to be made to the company’s marketing practices. With Albert’s help, a company has the power to execute a marketing campaign across multiple channels and audience segments at superhuman speeds, guaranteeing a higher, more consistent return on ad spend than is possible with a team of human marketers alone. To learn more about how AI is changing the future across industries download our latest eBook, The Top Movers & Shakers In Autonomous AI Today. The standards for advertising performance benchmarks are getting higher and higher, forcing many marketers to reconsider how they measure their online efforts. According to Magna Global’s latest year-end advertising forecast, digital media will account for 44% of all ad spend in 2018, a 13% increase over last year. While all digital ad channels are expected to garner increased investment in 2018, paid search will continue to dominate the space, accounting for $113 billion of the $237 billion global digital advertising tab. To stand out in this crowded digital landscape, marketers need to reevaluate what constitutes success — and as more companies put more money into digital campaigns, that’s only getting harder to do. 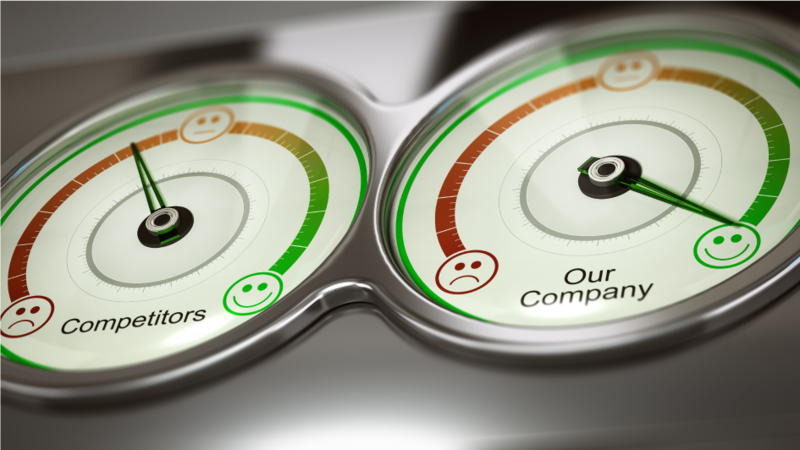 New data published in Search Engine Journal suggests that the industry standard for good performance in digital advertising is only getting higher as leading firms get better at reaching internet users, building awareness, and driving conversions. The data — which provides benchmarks for search ads purchased through Google AdWords and display ads purchased through the Google Display Network (GDN) — shows a median CTR of 3.17% for search and 0.46% for display across all industry verticals. Companies in the dating and personals and travel and hospitality verticals enjoy the most success on the paid search front, with CTRs of 6.05% and 4.68%, respectively. Unsurprisingly, verticals that benefit from engaging visuals like real estate (1.05%) and dating and personals (0.72%) enjoy the highest CTRs on display advertising. While these CTRs are significantly higher than in previous years, digital advertisers generally haven’t had to pay a premium to secure these improved results. The median cost-per-click (CPC) currently sits at $2.69 for AdWords and $0.63 for GDN, only slightly higher than the $2.32 and $0.58 benchmarks from two years ago. Industries like consumer services and legal services, where people tend to do extensive research before making a choice still have fairly high CPCs ($6.40 and $6.75, respectively) but overall, advertisers are getting more bang for their buck than ever before. In fact, according to the Search Engine Journal research, only the advocacy industry has an AdWords conversion rate (CVR) below 2%, and the cross-vertical median is rapidly approaching 4%. Similarly, the cross-vertical median for display ads sits at 0.77%, driven largely by high CVRs in dating and personals (3.34%), legal services (1.84%), and employment services (1.57%). Consumers’ growing comfort with online advertising has certainly played a part in this cross-vertical elevation of traditional advertising KPIs. Still, much of the credit must go to the marketers who are simply getting better at their jobs — particularly those working on behalf of industry leaders. Modern marketing is becoming especially good at personalization, as more and more marketers are realizing that creating “audiences of one” is the most effective way to boost CTR and CVR without inflating CPC. According to McKinsey, “Personalization can reduce [customer] acquisition costs by as much as 50%, lift revenues by 5 to 15%, and increase the efficiency of marketing spend by 10 to 30%.” What’s more, analyses conducted by HubSpot found that personalized calls-to-action have a 42% higher view-to-submission rate than boilerplate calls-to-action. For many marketers, delivering 1:1 messaging is a daunting task. Fortunately, cutting-edge tools like Albert™, the world’s first fully-autonomous artificial intelligence marketing platform, offer marketers an easy, intuitive way to achieve the hyper-personalization needed to keep pace with climbing digital advertising performance benchmarks. Albert offsets the complexities of marketing personalization by handling many of the time-consuming, computationally-intensive tasks that humans are simply unable to execute at the requisite speed and scale. By pairing in-house marketing expertise with Albert’s powerful machine learning algorithms, an organization is well on its way to far surpassing the benchmarks of yesteryear. Fraud is getting harder and harder to stop in an increasingly digitized economy, but emerging artificial intelligence technologies may even the playing field for financial institutions. According to the United Nations Office on Drugs and Crime, between $800 billion and $2 trillion are laundered every year, amounting to roughly 2-5% of the global GDP. Moreover, money laundering and other forms of fraud cost financial institutions an average of 5% of their annual revenues. And to add insult to injury, nearly a fifth (18%) of them are fined by regulators each year for failing to follow proper protocol in the detection of and response to fraudulent activities. Despite collectively spending more than $8 billion on anti-money laundering (AML) compliance last year, an astounding 87% of financial services organizations believe that their current anti-financial crime systems and processes are, at best, “somewhat efficient.” Luckily, this incredibly costly and complex problem may have a high-tech solution: artificial intelligence. The prevalence of financial crime today is partially due to anti-fraud professionals’ inability to manage both the explosion of data created by digitization and increasing regulatory pressures. Extensive anecdotal evidence suggests that AML analysts spend three times as many work hours gathering and organizing data as they do actually analyzing the data for suspicious activity. Many financial institutions see a lot of value in streamlining these processes, so much so that the global FinTech AI market is expected to expand from $1.3 billion in 2017 to $7.3 billion in 2022 — an impressive 40.4% compound annual growth rate. HSBC’s move comes on the heels of its partnership with Ayasdi, an AI startup specializing in streamlining AML investigations. Last summer, HSBC used Ayasdi’s technology to not only reduce the number of investigations flagged for closer scrutiny by 20%, but to do so while dramatically decreasing AML person-hours, freeing analysts to focus on higher-level anti-fraud tasks. The Financial Times reports that HSBC is just one of many financial institutions exploring AI-based solutions in this vein. Other examples of banks around the world leveraging AI to detect and investigate fraud include the Royal Bank of Scotland, Denmark’s Danske Bank, and the Singapore-based OCBC. Ultimately, AI is gaining traction with financial institutions like HSBC because it enables them to level up their anti-fraud operations with minimal effort. In fact, according to the 2017 NICE Actimize FMC Survey, over 80% of institutions agree that AI-based behavioral analytics software can detect potentially fraudulent activities that typically go unnoticed by even the best analysts. The same can be said for almost every industry — from healthcare and education to software development and marketing. To learn more about more about autonomous leaders in other industries download our latest eBook. A new study from the World Federation of Advertisers found that fewer than half of all advertisers are satisfied with the transparency of their programmatic partners. Here’s how that might change in 2018. A new study from the World Federation of Advertisers (WFA) titled, The Future of Programmatic, reflects on programmatic advertising’s massive impact on the field while offering some predictions as to how the field will evolve in 2018. 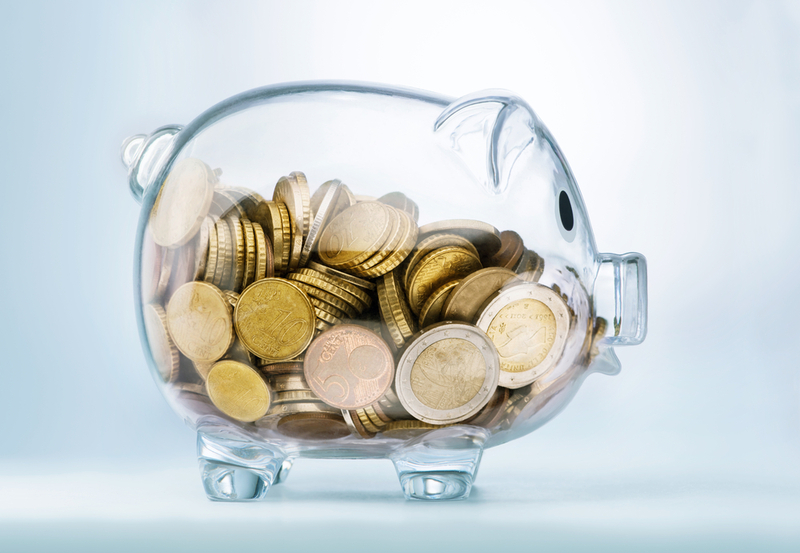 The good news, according to the study, is that programmatic is on the rise, as total digital media investment budgets are expected to rise by nearly 10% on a global level. 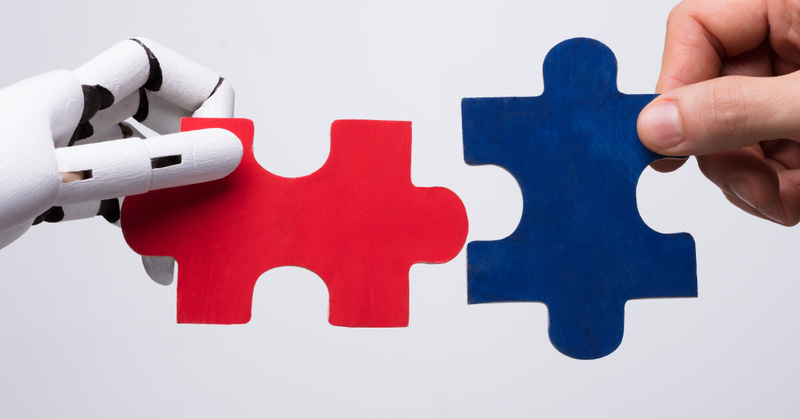 The bad news is that in spite of its increasing importance in the media sphere, programmatic continues to struggle with transparency: fewer than half of the study’s respondents reported that they have a fully transparent relationship with their partners. Transparency in programmatic media boils down to trust, communication, and understanding between publishers, brands, media buyers like DSPs, and any other parties involved in programmatic exchanges. Many programmatic platforms offer their services as walled gardens, hiding their inner workings, data usage, and decision trees so that it becomes unclear how they are adding value. As a result, brands are left to wonder what exactly they are being charged for and why they don’t have access to critical data about their customers. Since programmatic isn’t going away anytime soon, optimists believe that transparency advocates will have be more empowered to pressure programmatic partners to address long-standing issues with walled gardens and data access. Support for addressing segment mark-ups and data arbitrage rose by nearly 50 points over the past year, with 62% of respondents marking it as a major priority. With such strong support, positive developments in data transparency are sure to come. Moreover, the concern with data transparency extends beyond the industry. As Green points out, new regulation like the EU’s General Data Protection Regulation is already working to put much stricter controls over how customer data may be used. Similar rules are sure to follow in other countries as well, leaving the clock ticking for programmatic media companies. While some brands continue to demand greater transparency from their programmatic partners, others are turning to alternatives like those provided by Albert, the first autonomous marketing platform built from the ground up on AI. Albert allows companies to bring media buying in-house, and his Inside Albert feature allows him to show and report on his work. Inside Albert offers a comprehensive campaign narrative based on quantitative data from all active channels, giving his fellow marketers a look into his real-time decision-making. Brands no longer have to put up with opaque exchanges and secretive partners — with Albert, you can understand exactly what your data is doing for you. The latest MadTech craze is focused on blockchain technology, which some say has the potential to end ad fraud for good. If you’ve watched the news or perused the internet in the last year, chances are you’ve heard about Bitcoin, a volatile cryptocurrency that some say is the future of commerce. While Bitcoin is an intriguing development for digital prospectors, blockchain — the technological foundation that Bitcoin is built on — is what has the tech world truly excited. The power and adaptability of blockchain technology stems from its decentralized architecture. Put simply, a blockchain is a way of connecting transactions between different devices and parties to form a single, unchangeable record. Conventional databases are hosted on a single server, and devices trying to access the authoritative “master copy” must ping the server each time they want the most up-to-date version. While this is an effective approach to ensuring data consistency, it makes things easier for hackers and other bad actors by providing them with a single, location-specific target. If they manage to hack the server on which the master copy is hosted, they can steal and/or manipulate data without immediately raising suspicions among other users or devices. That’s precisely the problem that the blockchain was designed to solve. Since every device participating in a particular blockchain holds a complete copy of the ledger at all times, a hacker would need to deceive thousands of unrelated devices simultaneously in order to corrupt the data “blocks” in the chain. This decentralized architecture not only makes a blockchain nearly impervious to hackers, but it also prevents users from changing or erasing any information in the chain’s ledger. As such, a blockchain can bring transparency and security to practically any kind of transaction. Combatting ad fraud is one of the more exciting potential use cases for blockchain technology. Though there are many ways to defraud digital advertisers, bot traffic continues to be one of the advertising industry’s most intractable problems. By setting up “dummy” sites featuring everything programmatic digital media buying software looks for and flooding these sites with bot traffic, cybercriminals are able to trick advertisers into paying huge sums of money for ad space that only robots are clicking on. 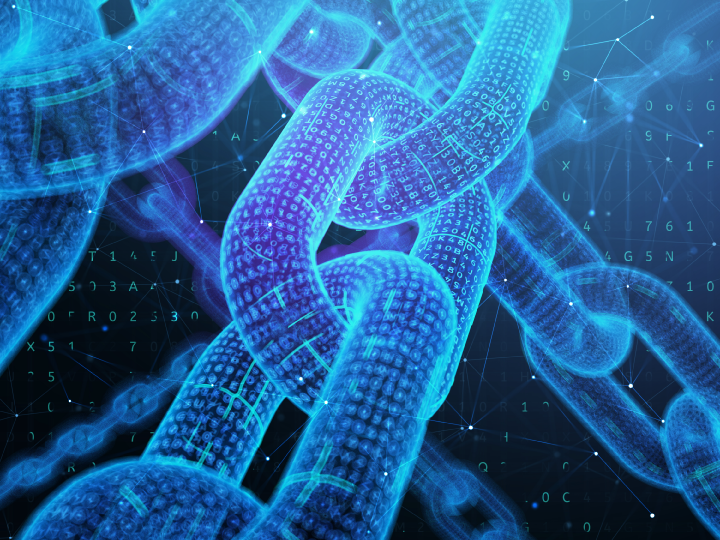 It’s not hard to see why blockchain technology is attracting so much attention from digital advertisers, even at this early stage of its development. For instance, in June, MetaX and the Data & Marketing Association launched adChain, an open protocol blockchain tool that enables advertisers to “follow” their creative materials across the web by embedding a tracker in the xml of each ad. In theory, when an advertiser purchases an ad impression, adChain will encrypt this transaction in a data block and transmit it to each participant in the service’s chain. Once the media publisher provides evidence that the ad has been served in a legitimate fashion, they verify the data block and append it to the adChain ledger as an unimpeachable record of the transaction. A platform like adChain would allow advertisers to know whether their ad was seen, who saw it, and where it ran, all but eliminating the possibility of unknowingly pouring thousands of dollars of ad spend into fraudulent sites and bot traffic. As promising as blockchain-based anti-fraud tools like adChain are, they’re still at least several years away from wide availability. What’s more, limiting waste through problems like ad fraud will always only represent one side of the digital advertising coin. The other — ad spend optimization — is just as important. Fortunately, another strain of cutting-edge technology — artificial intelligence — is already driving real results for companies in numerous market niches. With Albert™, the world’s first fully autonomous AI marketing platform, companies get a partner capable of gathering, aggregating, and analyzing huge volumes of cross-channel, cross-device data at superhuman speeds, ensuring that every ad dollar drives the best possible results. As the MadTech revolution continues to unfold, companies smart enough to pair an AI tool like Albert with a blockchain tool like adChain will be perfectly positioned to establish themselves as true leaders in their market vertical.